If you’re an old OUNC girl we’d love to hear from you so please get in touch! Click here to find a committee member. 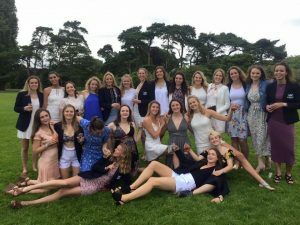 The 2017 Annual Old Girls Match took place on June 10th, at Iffley Sports Centre. After a great game of netball, we enjoyed a lunch at the Smokehouse, followed by the ever-enjoyable Vinnies and Atlantas Garden Party. If you would like any information on OUNC events, please feel free to contact Charlotte, our sponsorship and alumni officer.